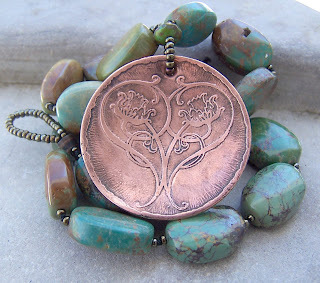 Kathy Hardy's Handmade Life: Hooray!!! A Winner & A Surprise!!! Hooray!! Beth was the lucky winner of these gorgeous earrings!!! Congratulations Beth!! I hope you enjoy these. And thanks so much for all of your comments everybody! And just for being so awesome, I have a wonderful surprise for you! For one whole week, starting today and ending @ midnight next Monday [February 22nd], you can purchase these earrings from my ArtFire shop and get 44% off, plus "free shipping" ~ That "44" represents the 44th President, since it is, after all, "President's Day". All you have to do is "purchase" the earrings and then when you go to check out, type in Blog Reader in the coupon code and the 44% discount will automatically be deducted! How easy is that! Be sure and type in Blog Reader to get the discount though, since it is only for you, my actual blog readers. 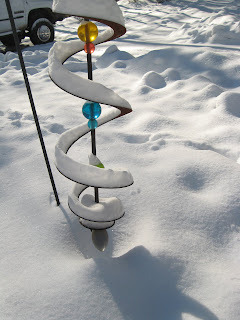 So...since it looks like we'll have snow until Spring, we were not able to go to the Mardi Gras party. But, we are enjoying the snow and we have plenty of things to do @ home to stay busy. And Wayne got me Michael Jackson's "This Is It" movie on DVD for Valentine's Day, so we'll be watching that later today...I can't wait! I've heard it is an awesome movie. I'll let you know! I just made this yesterday. I love it! It's called "Time Of The Season" and it's available for sale right here, if you're interested. Of course, if you purchase it from my ArtFire Shop, you'll get "free shipping" always. Welp, I'm off to make some new things and enjoy my snowy day! Happy President's Day! oh my gosh - Am I the only Beth....is it me? I'll convo you my address on Etsy. 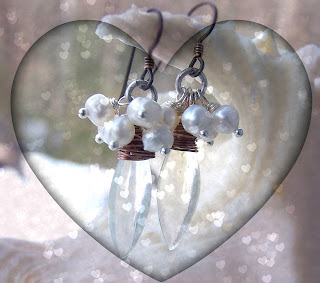 Love those snow and ice earrings!